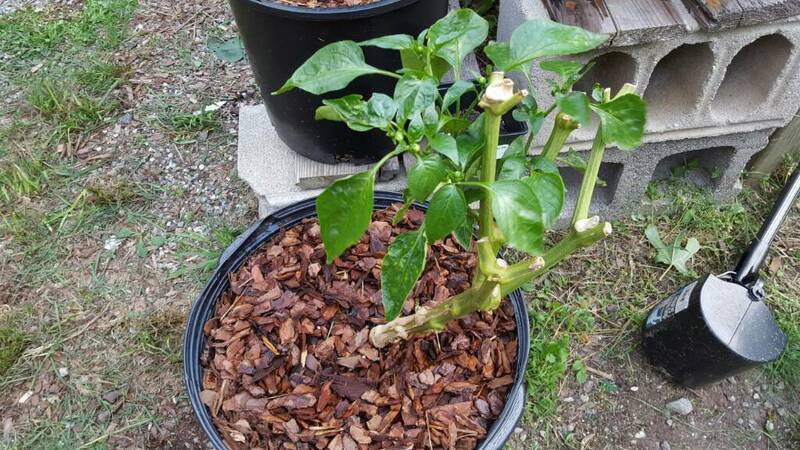 Your pepper plants look great, too. It's a real treat to have plants that produce so early in the season. Even if I don't overwinter as many this year, I'll still overwinter some. My first attempt at overwintering; it's an orange bell pepper. Pretty neat to see it taking off again. Will definitely do this with more varieties next year. Did you prune it back at all? Kath, I can't overwinter outdoors, but I do overwinter in a room that is between 45-60 all winter. And I do exactly that: I dig them up before the first hard frost, wash the roots thoroughly in a bucket of water until they are bare (basically by grabbing the stalk and dunking them up and down), sprinkle with a little myco, and then replant - in pots for over wintering or in the beds in spring. I never transfer soil between the two. That helps me see the root ball to diagnose any issues, and to ensure that any pests are not transported back and forth. So each plant is dug up twice a year. They don't seem bothered by it. I use Tania's recipe for container soil for the over wintering. I have lost it and so basically wing it. It is a combination of peat, compost, and vermiculite, one third each, with some lime, bone meal, and blood meal. Tania, can you post it here again? My 4 four year old Yellow Scorpion still pumping out the fruits. I took over 300 peppers from this plant last year. Nice looking pods! I bet one would light a guy up. How big is the plant? 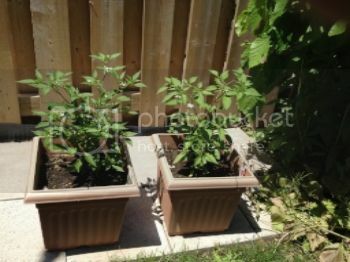 Pot size? It is in a pot, but the plant is four feet top to bottom and 3 feet across the crown. I did prune it back when I took it out of the bed at the end of the summer- I'm in New England and assumed I'd have a lot of die back over the long winter if I didn't. I pruned it to just above the two forks above the main stem fork and left a few thin shoots with leaves on it. Probably pruned it back to a quarter of the size it was in the bed and root pruned accordingly. It started to look a bit rough by new year and had some mite issues, but I put it in a south-facing window and it held on under the days grew longer. Since I posted this a couple weeks ago the plant really took off. It was setting fruits and flowering like crazy. I decided to pull the first set of blooms to push a bit more vegetative growth before resources go to a major fruit set but definitely didn't need to- just did it out of curiosity to see how much I can push the plant this season. That's a good question, Karen. I over-winter for about four months. If I had to keep them inside for 5 months or more, it might drastically change the survival rate. I know that at the end of four months, some of them look pretty pitiful. Longer periods might require more work - more lighting, for example, or perhaps even some fertilizing. I give them very diluted fish fert about once a month when they are over wintering, but I really don't fuss over them at all. I know this is an old post, but I just thought I'd share my OW success story. I had Cayenetta and Apache peppers in containers that I OWed. I'm in the Toronto area. I brought them in probably early October, and it was early April before I could start bringing them outside again on sunny days to harden them off again. They were in my living room window, which gets no direct sunlight from about early Nov - mid March. 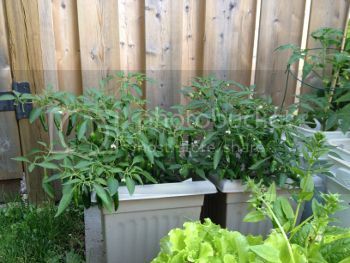 Here they are in late June, 2014, after purchasing the seedlings in mid-May. They were certainly looking a little rough by February, but by April, they were coming back to life with new growth and even flowers! Here they are on almost the exact same date one year later. Look at all those peppers! ...but I'll be trying again this year with my mini orange bell and 'Cute Stuff' in those two containers. My over-wintered bishop's crown peppers have become monsters. My 7 year old nephew was kind enough to model standing in front of them. Cute kid. You sure he's related to you? Based on his personality, he is most definitely related to me. I'm contemplating if I should dig, prune, and overwinter these for next year. If I don't, it will be hard to say goodbye to these. I'm pretty sure I won't be able to help myself. What, duck? you don't think I'm cute?!? It's worth a try. I get the impression that these guys are used to having more than one season to get ramped up. You got a greenhouse? Yeah, I think you're cute. But I've only ever seen you from a distance. And I need glasses. Actually, you may not need a greenhouse. I could have left my plants out all winter and they would have done fine. If you cut them back a bit, you might be able to get away with leaving them in the ground and just covering with a sheet on cold nights. Ever wonder why you've never seen a picture of me? dicey, but possible. if you don't, it almost guarantees a nasty ice storm, if you do, probably never get below freezing. 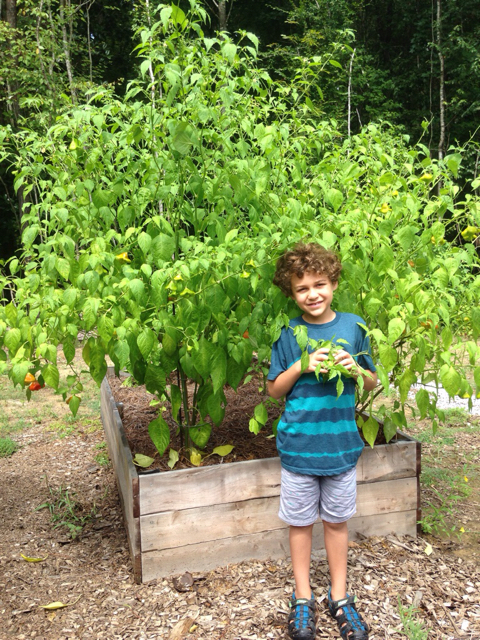 nice pepper plant, btw and cute kid. Last edited by My Foot Smells; August 9, 2016 at 10:21 AM.